Sitting just over a small hill from the city of Santa Marta, Taganga is often touted as how not to do tourism in Colombia. Formerly a small fishing village, Taganga boomed as one of the first big destinations on Colombia’s Caribbean coast back in the mid ‘00s and now sprawls back into the surrounding hills. With scores of hostel choices and other, previously more inaccessible and unsafe areas such as Palomino and Buritaca opening up, supply often far outweighs demand. This coupled with a very prevalent “party” reputation has meant Taganga is often left off the itineraries of many travelling around Colombia. However a clutch of decent restaurants are changing the face of Taganga, opening it up to a newer, food-savvy market. 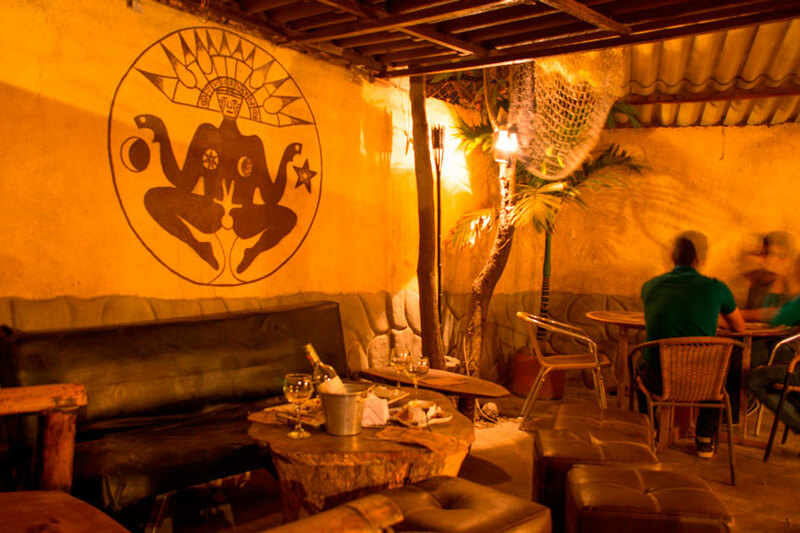 Hidden away off the main drag in a shaded courtyard, Pachamama is a reasonably priced tapas bar that many consider to be the best eatery in Taganga. The menu is seafood heavy, with simple dishes like chilli and garlic squid, ceviches and various types of carpacios, both surf and turf. El Rio's top choice, Babaganoush is a huge bamboo building overlooking the entire bay. The impressive menu combines Italian, Arabic, French and Asian cuisines. Starters include beef carpaccio, vitello tonnato (finely sliced roast beef with tuna mayonnaise - it’s absolutely delicious), and falafel. The mains menu includes local dishes such as a pasta de mariscos (seafood pasta), a Malaysian style yellow seafood curry and probably the most popular dish, filet mignon, complete with a choice of sauces. 3 courses available for 39,000COP. A small cafe that sits just off the main promenade, this French owned spot is a perfect place for a light lunch. They bake all their own French style bread and make tasty sandwiches and salads, featuring both local and European recipes. Try the Costeño salad, a mix of shrimps, avocado and egg with a maracuyá (passion fruit) and chilli dressing. You can also build your own sandwiches, with ingredients including locally produced pepperoni de la Sierra Nevada. Big portions of Tex-Mex style food are the backbone of the menu at this beachfront spot. Hands down the best place for a snack and a decent sunset cocktail. Taganga is around an hour and a half by road from El Rio. It’s also a great jumping off spot for Parque Tayrona.